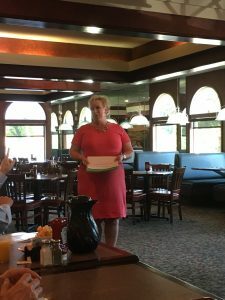 Anita Luthy of AMR Business Solutions can help small to mid-size business save thousands of dollars just by organizing your books. Organization, is a cornerstone for savings. When you take the time to get organized everything else falls into place. You start by cleaning out your filing cabinets at the end of the year. This allows for a new set of files that you can clearly label and organize into your file cabinet. We recommend two digital backups of all your paperwork. Today, you must have electronic backups of all hard copies. You should have one digital backup on your computer or external hard drive and the other in the cloud offsite. After you get organized, the rest falls into place. You must then keep track of all incoming paperwork keeping in the right files. It begins with current invoicing and making sure bills go out on time. This will increase cash flow and maintain a constant flow of money every month. You will also identify who is late and address those clients first to bring them current. Paying your bills on time will also save you money because most companies offer a discount for on-time or early payments. If you have the cash coming in you can take advantage of these discounts that add up over time. Another way to save even more money is organizing your checkbook. The majority of small businesses pay significant amounts of money in overdraft fees, not to mention this is not good for your credit. “I have saved businesses thousands of dollars in overdraft fees that have more than paid for my services”, said, Anita. Most clients are not even aware of what banks charge for miscellaneous services. Just a checking account alone can have fees associated with it that add up over time if you are not looking. Something as simple as maintaining a specific balance can add up over time on some business accounts. Keep Better Books and Save!